Gary Hibberd is a Cyber Security Expert. MD of Agenci Information Security, Hibberd started his career as an IT programmer back in 1985 and has had a passion for all things cyber related since then. He has a broad range of experience in almost every discipline in IT from programming to systems design and network architect to information security. He is a qualified Information Security & Business Continuity professional and regular contributor to government initiatives on cyber security and counter terrorism. Gary Hibberd is a member of CENTRIC, which is a UK Cybercrime and Cyberterrorism Research Board, who advise at a UK and European level on these topics. 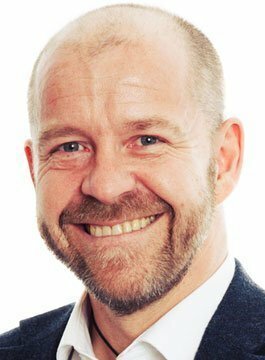 Gary has helped and advised businesses from a broad range of industries, from leisure to banking through to the legal sector and of course IT services. In recognition of his work in raising the awareness of Cyber related issues, in an engaging and thought-provoking way, Gary was shortlisted in the June 2016 UK ‘Cyber Security Awards’, for the ‘Cyber Personality of the Year’ and Agenci were shortlisted for the ‘Most innovative Cyber Insurance Product’. Gary is a regular speaker and writer on the topic of Cyber Security and Business Continuity. As a keynote speaker, Gary demonstrates a passion and ability for communicating technical matters which has earned him the title of ‘Professor of Communicating Cyber’. In October 2015 he was the host for the first Cyber Security Europe event held in Yorkshire, where 170 delegates listened to an array of speakers, expertly managed by Gary. His credits also include being asked to speak at major businesses conferences on the topic of Cyber and cyber terrorism. Cybercrime and CyberTerrorism – The new Crime Inc. The Good, the Bad and the Ugly side of Cyberspace. What Cyber is doing to us. Why cybercriminals are targeting SME’s. You’re the problem – your IT is fine.